Which Plants to Avoid? Here are a few.. This article was written by Bob Beyer for his blog “Gardening in Central Texas” which you can find at http://centraltexasgardening.blogspot.com. The article was written in the Fall, but is as relevant now, as many of you will be seeing these at the nursery and should avoid them. Also, please visit his blog and read the article titled “The Problem With Many Plant Nurseries” There is some really important info there as well. plant trees and shrubs for next year’s garden enjoyment. We see many articles and resources about best and recommended plants to grow in our region, with emphasis on native and adaptive plants well suited to our climate and environment. However, there is a flip side to that coin – plants to avoid for various and very good reasons. First of all, we should avoid the spreading of non-native invasive plants that overwhelm and threaten our local native plants. A list of these is found in the City of Austin’s “Grow Green” book – free at any nursery or plant center in Austin. But in addition to those recommendations of plants to avoid, I see many other plants sold at local nurseries that can create major problems in your gardens and should be avoided. Here’s my top 12 “no grows”. Photinia fraseri – The “Red Tip Photinia does produce dramatic color on new growth but has many reasons not to use it. It grows rapidly and ultimately into a small tree, yet is planted like a shrub. As a member of the rose family it is subject to a fungal disease (black spot) and requires considerable pruning maintenance. Most often, they are planted too close to foundations and to each other for hedge effect. This inexpensive and a widely overused plant comes with many potential problems for the homeowner. 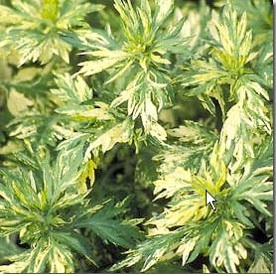 Artemesia vulgaris – This species of Artemesia spreads rampantly throughout your garden from roots which can spread 5 – 10’ underground and send up new plantlets everywhere! If even a tiny piece of root is left in the ground, a new plant will emerge. It is extremely rampant, yet a variegated variety (Oriental Limelight) is pending a patent and it is being widely sold at nurseries. That would be like buying variegated nutgrass for your garden! Container grow only. Euonymus japonica – This plant has bold variegated color to offer along with Euonymus scale and other pests, frequent reversion to solid green, and short life. It is an inexpensive plant that is overused in landscapes. However, E. fortunei does not have the same problems as E. japonica . Variegated Chinese Privet (Ligustrum sinense) – This colorful small leafed shrub is overused and inexpensive but generally looks very nice in landscapes until it begins to revert to solid green! This is a problem! It spreads rampantly by seed endangering our native plants. Nandina domestica (Heavenly Bamboo) – The red berries are beautiful but all one needs to do is take a walk in an urban or rural nature area and see this plant coming up everywhere from bird spread seed. It is very invasive and endangers our local native plants. Only non-berry producing varieties should be used. Nandina can’t take our intense bright sunlight and heat of summer well either. Indian Hawthorne (Raphiolepis indica) – Although popular for its spring bloom, this plant is very often infected with scale, a sooty mold and other diseases. This plant tends to be overused in southern landscapes, contributing to the spread of these undesirable infestations. It favors acidic, organic soil so is not suited well to TX hill country. Chinese Wisteria (Wisteria sinsensis) – Spring blooms are beautiful and fragrant but this vine can grow almost 12″ per day and strangle anything nearby. It is especially invasive and hard to control – almost like Kudsu. Pampas Grass (Cortaderia selloana) – People who plant this regret it! Clumps get extremely large and thick, blades contain sharp cutting edges, and it takes a stick of dynamite to remove! Running bamboos – Bamboos are a fascinating plant, but can run rampant among your garden area unless container grown. They are very difficult to remove, once spread out, so avoid running varieties unless you have acreage to spare. Clumping bamboos, also spread but from the base, not runners, and can be controlled with periodic basal trimming. Clerodendrum bungii (Cashmere Bouquet) – This beautiful root hardy sub-tropical plant is enjoyed for it’s fragrant large cluster of bloom, large foliage, and tropical look, but spreads rampantly from underground roots, plus wind and bird dispersed seed and can create it’s own jungle in short order. Unless contained, avoid it in the garden. Pittosporum tobira – The Pittosporum also gets large, requires much pruning to maintain, and is subject to being damaged at below freezing temperatures and wax scale infestation. This of course is not a complete list so do your homework before going plant shopping. I recommend going go a nursery or garden center with a specific list of researched plant selections in mind, and if not available look elsewhere. I let my fingers do the walking (telephoning local sources) when looking for a specific plant. Before deciding on an alternative plant, I once again do my homework first. So, Fall; is a good time to be thinking about next year’s ornamental garden and getting new permanent plantings in place so they can become well established by spring. This is especially true of deciduous and spring flowering trees and shrubs. Knowing which plants to avoid is as important as those best suited for your garden. Thanks Bob for the good tips!! It is always so important to do your homework before you buy large shrubs and trees. Be sure you allow adequate space for the tree or shrub you are planting, and spend some time to educate yourself about the plants you are inviting into your living space so you don’t live to regret it later.